Akkadian, Ancient Near East, Anunnaki, Arcane Tablets, Babylonian, Celtic, Chaldean, Dragon Legacy, Druidism, Elven, Enochian, Faerie, Great Magical Arcanum, Illuminati, Mesopotamian, Necronomicon, Nine Gates, Pheryllt, Sorcerer’s Handbook, Sumerian, Vampyre Magick & more! WELCOME to the official Mardukite Library and Archives. Titles listed below are links to the most current editions published (amazon.com product pages). Check “Liber” codes when making selections; single titles are frequently republished in anthologies. A masterpiece of Mesopotamian history and spirituality, providing a complete Sumerian & Babylonian tablet collection in one volume, composing in itself — a ‘bible’ — the predecessor and basis of civilization and religion thereafter. Join thousands of others who have discovered this amazing NexGen resource! Newcomer? Wondering where to start? The ‘Mardukite Core’ begins with this book. An alternate edition portable abridged paperback of the original amazing underground source book of esoteric archaeology! Or, full version available in paperback as: The Complete Anunnaki Bible (shown further below). 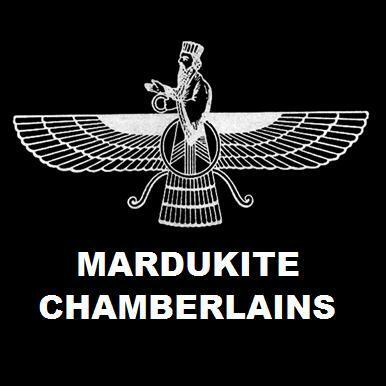 Sumerian secrets and Mesopotamian mysteries are revealed in the first complete guide to to Babylonian “Mardukite” tradition. An anthology of arcane history, mystical theory and esoteric practices spanning thousands of years. Contains four discourses released as: “The Sumerian Legacy” (formerly “Sumerian Religion”), “Sumerian Traditions” (formerly “Babylonian Myth & Magic”), “Necronomicon Revelations” and “Crossing to the Abyss.” The definitive follow-up companion to the Necronomicon: The Anunnaki Bible. Sumerian secrets and mysteries of Mesopotamia are revealed to all in the first guide to esoteric archaeology concerning the Babylonian “Mardukite” tradition. Arcane history, theory and practice drawn from the most critically acclaimed bestselling materials from the underground Mardukite Research Organization, revealing amazing insights just as relevant and critical today as thousands of years ago! The long-lost translated cuneiform tablet collection, revealing secret underground methods to acquire direct communication with what some call “alien intelligences” via a program of ancient-styled Babylonian-inspired devotion, reviving the same techniques as ancient Mardukite priests of the Sumerian Anunnaki in Mesopotamia. This edition also includes materials from the “Book of Zagmuk by Nabu” and other enhancements. A collector’s edition of a long-lost translated cuneiform tablet collection revealing the most ancient and complete guide to Babylonian spiritual and magical protection spells, exorcisms rites, and banishing rituals–right from the heart of Mesopotamia as used by Mardukite priests, priestesses and magicians of Sumerian Anunnaki tradition. The first ever authorized French edition of Joshua Free’s original “Liber N” volume, translated by David Zibert. 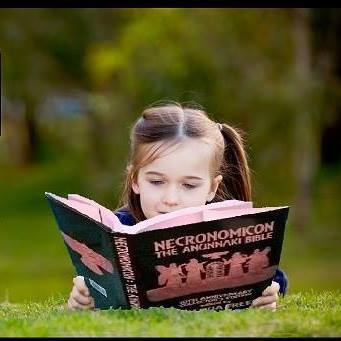 Discover the real truth about the Necronomicon, H.P. Lovecraft, Aleister Crowley, Kenneth Grant’s Typhonian Tradition and the secret ‘alien forces’ behind the occult, driving human history from the shadows. Shrouded in doom and gloom, contrasting the “Cthulhu Mythos”, who may have developed the title — Necronomicon — for his literary cycle, but the book presented by editor Simon is anything but fantasy. It is instead an allusion to a very real, though fragmented, “Mardukite” Babylonian Anunnaki Tradition, a system that once dominated the prehistoric and ancient world before the rise of the Greeks, Romans and even Egyptians! Mesopotamian Prophecies of a New Babylon Rising: Secrets of King Nebuchadnezzar. The Mardukite translation of the wisdom and prophecies of the Babylonian Priestess: Shayaha, also known as Sajaha-the-Seer. The most comprehensive, practical, concise and economical guide to cuneiform writing, Sumerian language and its refined Akkadian use in Babylon, finally released to the public by the world renown Mardukite Research Organization. A realization of legendary proportions, delivering the virtually impossible–a complete collection of esoteric Pheryllt fragments scattered across history into a single coherent source, now accessible to all modern Druid practitioners for the first time ever! Published by Kima Global Books. THE “HANDBOOK” — Celebrating its 20th Anniversary, the underground classic “Sorcerer’s Handbook of Merlyn Stone” returns after thousands of copies have reached circulation coupled with “The Lost Books of Merlyn Stone”, making this “Sorcerer’s Handbook” a complete collected works anthology of Merlyn Stone. Now you can master the powers of magick with a book that has changed the world, launching hundreds of traditions in over a decade! ARCANUM is also available as a two volume set. Joshua Free brings together knowledge of the ancient “Ladder of Lights” — the BAB.ILI system — the original “Tree of Life” (‘kabbalah’) found on ancient renderings and its connections to the later Judeo-Christian traditions and the evolution of human understanding of “Anunnaki”, “Igigi” and other sky-beings into the Hebrew renderings of the “Nephilim”, “Anakim”, “Elohim” and the like. A Universal System NexGen Beginner’s Guide… The 2013 revised edition of the original Mardukite-Systemology-101 Right Way to NexGen Life-Mastery Series from the Mardukite Research Organization & the NexGen Systemological Society including: Human, More Than Human (S1), Defragmentation (S2), TransHuman Generations (S3), The Games & Players (S4).